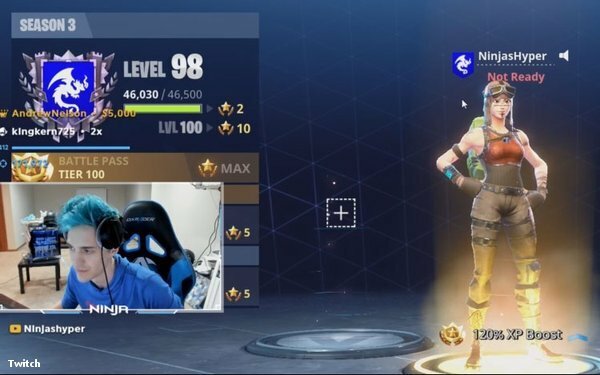 Last week the rapper Drake logged on to the Amazon-owned videogame streaming site Twitch to play “Fortnite” with one of the platform’s most-popular gamers, a man named Ninja. The duo drew viewership that many cable channels might well envy, with 628,000 concurrent viewers. “Seeing a top gamer and musician come together on Twitch and unite their large and passionate communities is a cultural moment in terms of building awareness around the appeal of social video -- and it's only going to grow from here,” said Kate Jhaveri, senior VP of marketing for Twitch, noting that the 628,000 figure broke all previous records for individual channels on the site. The surprise gaming session was also a proof of concept: with viewership heavily focused on hard-to-reach young male consumers, esports is a prime opportunity for content creators and marketers. Even without a famous rapper, millions tune in to various games each day. As platforms like Twitch become destinations in their own right, and esports leagues become more formal in their structures, the opportunities for brands to engage becomes clearer. As with other forms of video advertising, a key for both brands and esports leagues is authenticity. Marketing that feels forced may not resonate with viewers. hat was the case with Drake and Ninja: a famous rapper and a top-level player teaming up. In many ways it mirrors the audience for more traditional sports like basketball or baseball. Fans may play the games casually, but they watch professionals to see what the best players can do. The landscape has certainly become a lucrative one for professional gamers like Ninja. Appearing on CNBC Monday, he said he earns $500,000 per month, driven by marketing deals, as well as subscription support from fans and followers.